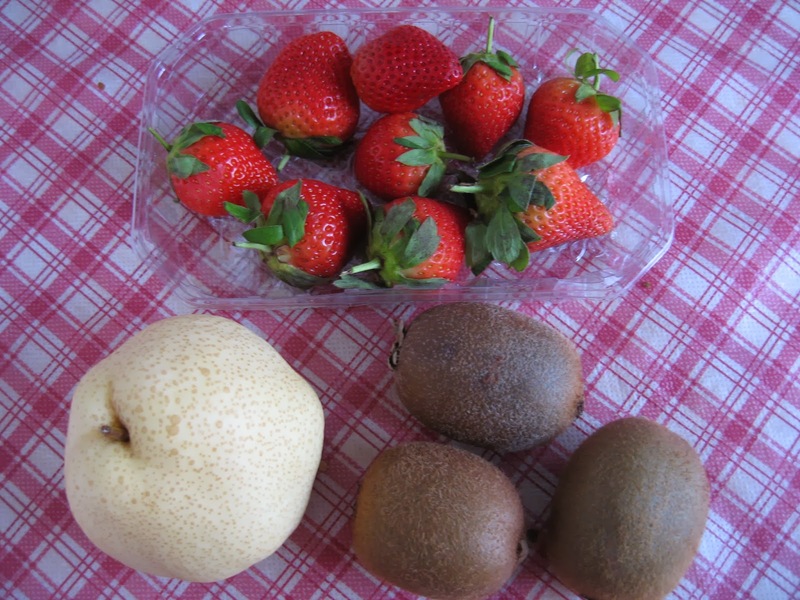 I was setting out the ingredients to make fruity konyakku when my youngest son walked into the kitchen. He was restless and needed a break from his homework. He offered to cut the fruits. Then he requested that he be allowed to decorate the fruits in the bowl. 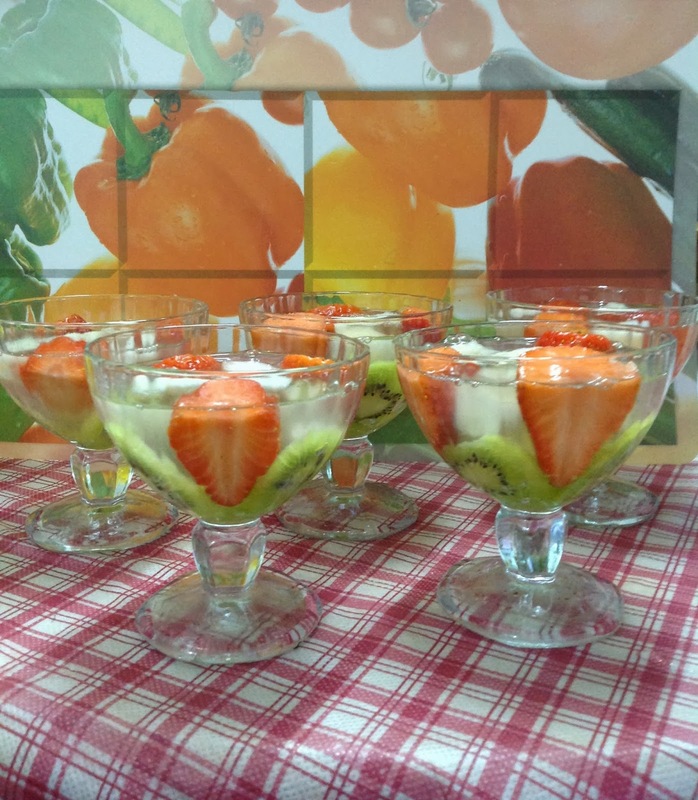 I had wanted to present these fruity konyakku in glasses but my son said dessert bowls would look better. So he brought down these bowls from the cabinet. 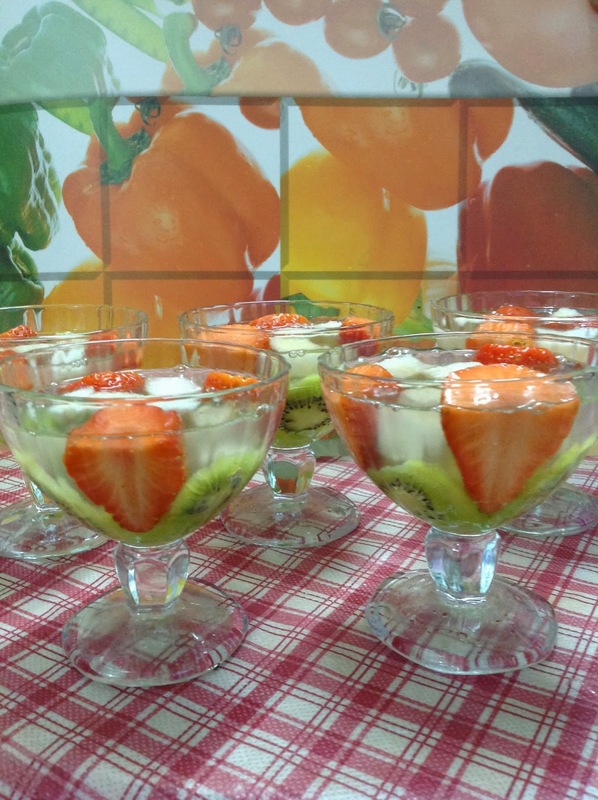 Once the liquid jelly was ladled into the dessert bowls, he dashed out to get his ipad to snap the pictures! That's not all. He has another request. That I should give him credit for his creativity! Well, well, I have to give credit where credit is due because all I did was boiled the konyakku jelly. 2. Dissolve konyakku powder in water and boil together with sugar and lemon juice. 3. 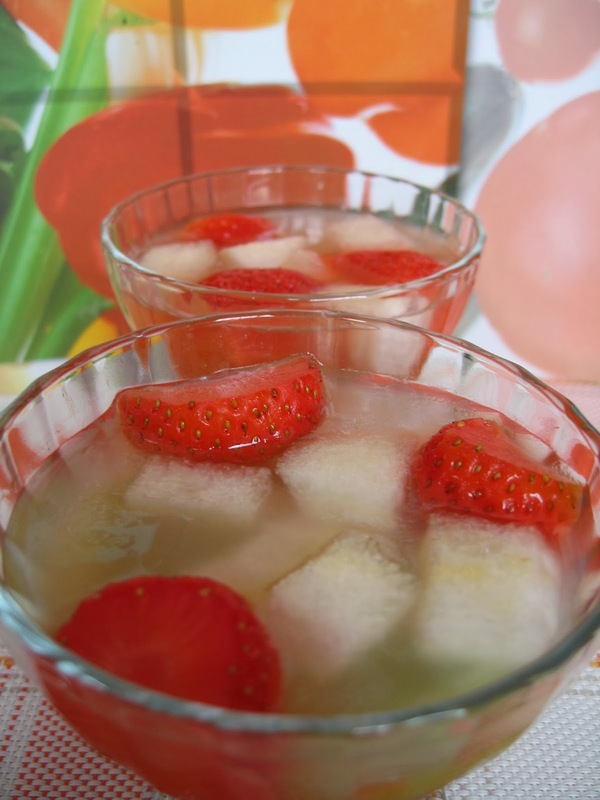 Remove from flame and ladle spoonfuls of liquid konyakku over the fruits in prepared glasses. 4. Allow to cool and set. Chill in refrigerator.